If there is any place near Jaipur where you can explore the beauty of forts and palaces, then it is certainly Mandawa. 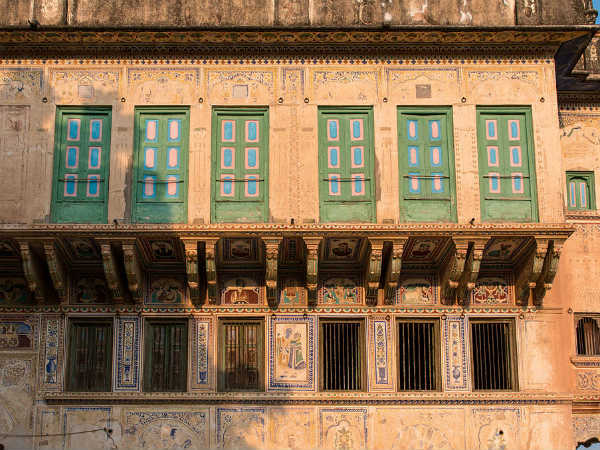 Popular amongst tourists for forts and palaces, Mandawa is located in the Jhunjhunu district of Rajasthan and is believed to have been formed during the later 18th century by a Rajput king. However, it is also said that the settlement in Mandawa dates back to thousands of years before the Common Era. Today, it has become a popular spot for every traveller who is looking forward to contemplating the grandeur of Indian palaces and forts. Do you know Mandawa is also the place where several hit Bollywood movies have been shot? If not, then let us tell you that the forts and palaces in this historical town have served as sets to movies like Love Aaj Kal, Paheli, PK, Shudh Desi Romance and Jab We Met. Such is the majesty of these royal monuments that even Bollywood directors couldn't resist themselves. Wouldn't you love to explore such an amazing town? Just a few hours drive away from Jaipur, Mandawa is a perfect weekend getaway. So, don't be late and plan a trip from Jaipur to Mandawa now. Mandawa experiences hot summers and hence, it is a less preferred destination during this season. The best time to visit is from October until the end of February when the surrounding is absolutely filled with a pleasant environment and a cool breeze. You can also visit it during the monsoon season, i.e., in between the months of August and September. By Air: As the closest airport from Mandawa is at Jaipur, there are no options to access Mandawa by air if you are travelling from Jaipur. In this case, you need to either get a cab or bus directly to Mandawa. By Rail: Mukundgarh railway station is the nearest railhead from Mandawa at a distance of about 15 km. You can catch a direct train to Mukundgarh from Jaipur and then from there, you can hire a cab to Mandawa. By Road: As Mandawa has a good road connectivity, you can approach it easily by road. Once you are on your way, you can also take a break at the historic towns of Sikar and Nawalgarh and explore their historical sites. Read on to know more about these beautiful en route destinations. A beautiful town narrating the legendary past of Rajasthan, Sikar is one of the few places in the state which are entirely dotted with historical monuments. Hence, it houses several temples, forts, palaces and other ancient sites. Even though it is not a popular tourist destination, it is still frequented by hundreds of history lovers. If you are one amongst these explorers and would love to witness the beauty of a lost city, then Sikar should be your first stopover. It is located at a distance of about 110 km from Jaipur and 60 km from Mandawa. The major places here include Harshnath Temple, Sikar Fort, Laxmangarh Fort and Mata Mansa Devi Temple. Another beauty lying on your way to Mandawa, Nawalgarh is known as the golden city of Rajasthan and hence, it should be on the bucket list of every traveller who is on a voyage of exploring Rajasthan and its raw beauty. If you hate tourist crowds and desire to watch its untouched beauty closely, then Nawalgarh is one place you should definitely visit for a break. It is also one of the few places in Rajasthan where several movies from the global cinema have been shot. It is located at a distance of about 140 km from Jaipur and 25 km from Mandawa. The prominent places here include Sheesh Mahal, Bada Kila Fort and Roop Niwas Palace. Mandawa is located at a distance of about 170 km from Jaipur and hence, it is a perfect weekend getaway from Jaipur in the lap of history. It is also one of the few places near Jaipur which are known for their legendary past. If you are in and around Jaipur and are looking forward to exploring the best and raw beauty of Rajasthan, then this historic site is the spot you should certainly visit. Following are the must-visit places in Mandawa. Adorned with beautiful paintings depicting several scenes from the life of Lord Krishna and magnificently designed arches and pillars, Mandawa Fort looks like a royal beauty out of heaven. Built in the 18th century by Thakur Nawal Singh, a Rajput king, the fort is decorated with beautiful patterns all over walls and the ceiling. The grand hall of the fort is a must-visit spot in the fort. You can find here several paintings and relics from the past. Yes, this is the palace where movies like PK, Bajrangi Bhaijaan and Mirza Sahibaan were framed along with the beauty of its royal aura. The palace was built in the early 20th century and is over 100 years old. Therefore, it is a prominent place for history lovers and historians. You must not miss visiting this rare beauty once you are within the boundaries of Mandawa. Murmuria Haveli, along with several other havelis, is a beautiful palace which is embellished with several beautiful paintings of cars, politicians, kings and a few gorgeous cities like Venice. This striking beauty is a must-visit spot for every tourist who is an architecture enthusiast and a painting lover. Characterised by beautiful minarets, this historic well dates back to several centuries. However, its exact history is still unknown. Even though it is in ruins today, it is still visited by hundreds of tourists who get charmed by its majestic appeal and historical significance. Apart from above-given places, you can also visit other palaces and historical monuments here. The list includes Ram Pratap Nemani Haveli, Hanuma Prasad Goenka Haveli, Jhunjhunwala Haveli and Gulab Rai Ladia Haveli. Isn't it a world filled with palaces? After all, it is the second home of Bollywood directors.